Industry type: Decentralised social media. 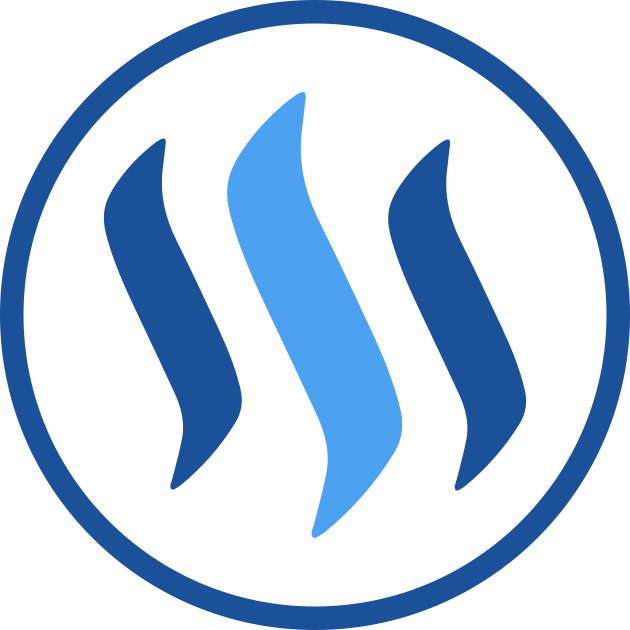 Steem is the native liquid cryptocurrency of the blockchain-based social media platform Steemit. Steemit gives content creators the ability to be rewarded by consumers with multiple cryptocurrencies on the platform by ‘liking’ and ‘upvoting’ content. Steem is also about to release its version 2.0 which will turn it into a blockchain that allows dApp developers to create their own Smart Media Tokens (SMT) that they can integrate into their own platforms to reward content creators. It allows users on the Steemit platform to exchange their Steem Dollars and Steem Power in other cryptocurrencies and FIAT money. It is used to buy Steem Power, the staking token that powers the Steemit platform. STEEM is the base liquid currency on the Steemit platform that is available on a wide range of exchanges for Steemit users to convert Steem Power and Steem Dollar for the purpose of exchange into BTC or other currencies such as FIAT. Steem Dollars (SMD) is the currency alongside Steem Power that content creators earn for ‘likes’ and ‘upvotes’. A single Steem Dollar is worth however many Steem tokens it takes to equal 1 USD, so every Steem Dollar is more or less equal to 1 USD at all times which allows users to trade the currency inside the platform with assuredness in its value at any given time. As Steem dollars are only exchangeable within the Steemit platform they act as a promissory coin for when a user wishes to cash out into Steem tokens. Also, users who keep their Steem Dollars within the platform earn 10% interest every year as an incentive for users to keep the value ‘in-house’. Steem Power (SP) is a token that symbolises how much power a user has in the Steemit platform. The more SP tokens a user holds, the more their upvotes will award other content creators with Steem Dollars and Steem Power tokens. Users earn 2% interest every year for holding their Steem Power, on the other hand, if a user wants to liquidate their SP into Steem they have to go through a process of ‘powering down,’ which takes two years to complete and incentivises SP users to keep their tokens on site. Smart Media Tokens (SMT’s) are customisable tokens that will exist within the future Steem 2.0 platform for developers to create and utilised on websites with the ‘Proof of Brain’ algorithm. SMT’s are distributed by consumer ‘likes’ and ‘upvotes’ on any content that the SMT is attached to with zero transaction fees and real-time speeds. Users can also launch ICO’s with SMT’s if they wish to. An example of how an SMT could be used is if the popular blogging site WordPress created and incorporated an SMT backed by a pool of funds that gives consumers the ability to participate and upvote posts to pay content creators for their work. Theoretically, this could work well for WordPress as it would incentivise content creators to use the platform even more as they can monetize the value that they bring to the site. The Steem blockchain uses Delegated Proof of Stake (DPOS) to process transactions, establish consensus, and build the blockchain. In DPOS, Steem users with Steem Power vote for 21 ‘witnesses’ to process transaction and build the blockchain on their behalf every round. Each witness produces a single block each round of 63 seconds meaning that 21 blocks are produced each round. The Steem network is built upon Graphene, the same coding technology that powers BitShares. Graphene has been publicly demonstrated to sustain over 1000 transactions per second and can easily scale to 10,000 or more with improvements. Dan Larimer is the co-founder of Steem and Bitshares, a decentralised real-time financial platform. Larimer is also the chief tech officer of 2nd generation dApp platform EOS and a highly respected figure in the cryosphere. Ned Scott is the co-founder and CEO of Steemit. Scott was a Business Operations and Financial Analyst at Gellert Global Group. In mid-2015, he began promoting Dan Larimar’s technology to different firms in New York. In 2016 he met Dan in person for the first time where they began to discuss the idea of Steemit. Global Blockchain Technologies, a company focused on blockchain related developments and ventures have partnered with Steemit to form a $20 million fund for upcoming projects to be developed on the Steem blockchain. DataWallet, a mobile phone device app for users to store their personal data from sites like Facebook, Uber, Amazon, Spotify, and unify it in the one place where they can choose to sell it to the highest bigger for personal profit. Steemit has partnered with DataWallet for Steemit users to store their personal data from using the site. APPICs, a next-generation social media app that will allow consumers to reward content creators for their content on the platform will be one of the first application to use the Steemit blockchain to create its own Smart Media Token. It is the liquid cryptocurrency of the most popular blockchain-based social media platform. The Steem platform will give developers the ability to makes their own tokens for the express use of awarding content creators on social media platforms. It has high transaction speeds and plenty of room to scale to demand. Its creator, Dan Larimer, is one of the most respected developers in the cryptosphere. There are some concerns and confusion in the space as to where the value of Steem really comes from. Steem is an inflationary currency, this can be avoided by staking Steem Power on the Steemit network and earn interest, however as Steem tokens are inflationary it may not be a coin for investment purposes. At this time the Steem 2.0 platform that will give developers the ability to create their own Smart Media Tokens is just around the corner. Other than that the Steem development team is still composing its future roadmap and information is difficult to find on what its future developments may be. In my opinion for this Steem review, there is no doubt that the Steemit platform is amazing. It’s one of the few cases where users can interact with the blockchain and content creators can be rewarded for their content. As the Steem token itself is inflationary and it is hard to pinpoint exactly where the value of the token comes from it is not a token i would recommend to investors without truly believing in the platform first. With that aside, Steemit is an invaluable asset to the crypto community and a beloved platform that showcases the potential future of social media platforms. The current Steem price, market cap and charts. SolarCoin (SLR) – A decentralised social media platform. Maker (MKR) – A multi-cryptocurrency platform. This website was launched in June 2018 to focus on crypto news, reviews and how to’s. We are an education site providing written, video and podcast content on Bitcoin and other cryptocurrencies from an Australian perspective. Note: None of the information should be considered financial advice. We merely provide opinions and education so that you can Do Your Own Research. Cryptocurrencies have a history of volatility and Ultimate Money is not responsible for any financial losses or gains you may have when investing in any crypto coins or related projects.